Logsweep recording is done by Uli’s program LogsweepLSR2. Here is some info from the readme file. It is also now available as part of the Acourate software and everything is integrated and automatic making measurement a lot easier. I used to use MacBook Pro with bootcamp for the recording purpose. But it turns out that there is a lot of latency problem with Bootcamp during recording and in the end, it just dropped the idea and use a Lenovo laptop running Windows 7 for recording. Life is a lot easier then! you will get the following screen. This is the whole recording center. Then apply FD-Functions – Amplitude Inversion – minphase and save the result as mono wav. 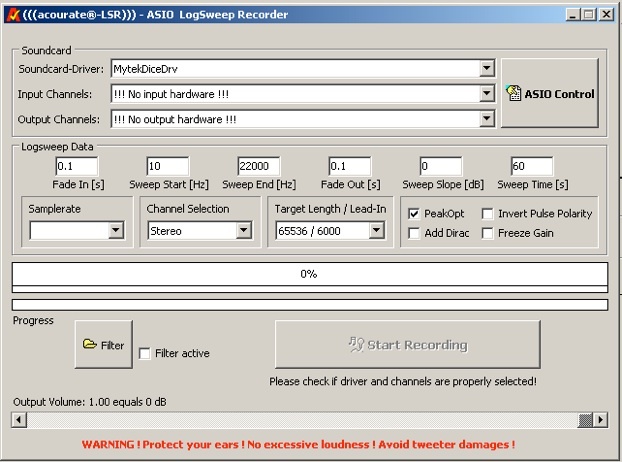 Use the wav file in the logsweep recorder. Recording level: The best case is when the meter goes up to the red level. A red color means that you are just before clipping of the input signal. Beside the logsweep the signal also contains short pulses of 1 sample length (Dirac clicks) to identify the logsweep sequences when the “Add Dirac” box is checked. 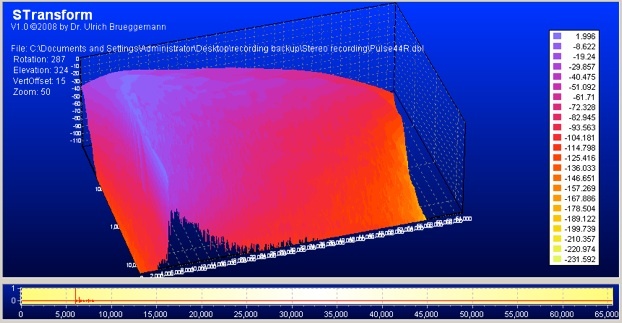 The logsweep is stored generally as a 64-bit float stereo wav-file. You can define the logsweep signal to be played with the following options. + Slope in dB (default 0 dB). This parameter defines the attenuation of the highest frequency (22050 Hz/24000 Hz). The sweep gain is reduced along a slope to protect a tweeter against an overload. Payback of the logsweep through a selected soundcard and output channel. The output volume can be influenced by a volume slider. Automatic recording during playback. The level meter indicates the input level by green, yellow and red color. The red colour indicates the danger of clipping which should be avoided. The recording stops automatically at the end of the playback. Generation of the logsweep inverse and computation of the pulse responses from the measured logsweep. The resulting pulse/pulses are stored in a raw 64-bit double precision floating point format (file extension .dbl). The pulse lengths can be 65536 samples with 6000 samples before the peak or 131072 samples with 12000 samples before the peak. Use 65536/6000 for 44.1KHz, 48KHz, 88.2KHz and 96KHz. Use 131072/12000 with 192 kHz. Filter definition: It is possible to apply a filter in combination with the generated playback. This allows to apply e.g. a correction filter for the frequency response of the microphone or the soundcard. 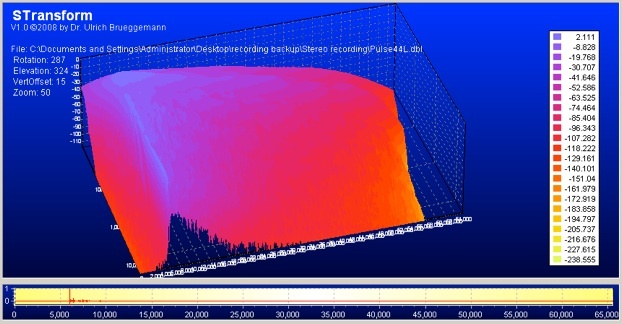 It is also possible to check a room correction by using the correction filter during the logsweep recording. For a proper filter function a 32-bit wav-file, either mono or stereo has to be prepared, max. length is 262144 taps. 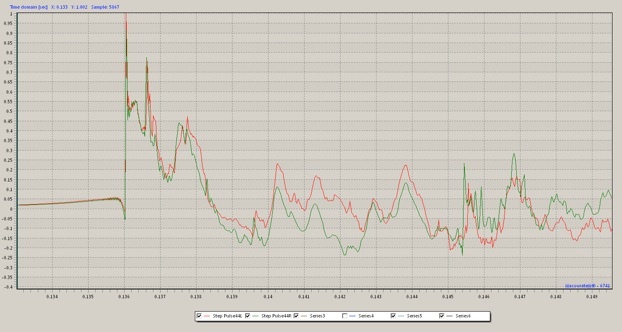 Freeze Gain: The computed pulses typically are normalized for a maximum amplitude of 1.0. It is possible to freeze the gain for a constant normalization factor. Simply check the according checkbox for the first measurement. This will keep the amplitude relationship between several measurements. Tips: use freeze gain is only necessary if you measure single drivers, then start with tweeter and freeze gain. This ensures that all drivers have the same level in the result. 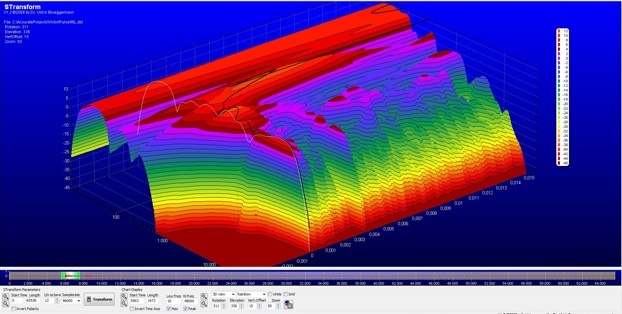 PeakOpt: A special function will adjust the pulse peak to a sample position by sub-sample shifting. The resulting pulse peak will automatically get its maximum peak. Leave it checked by default. 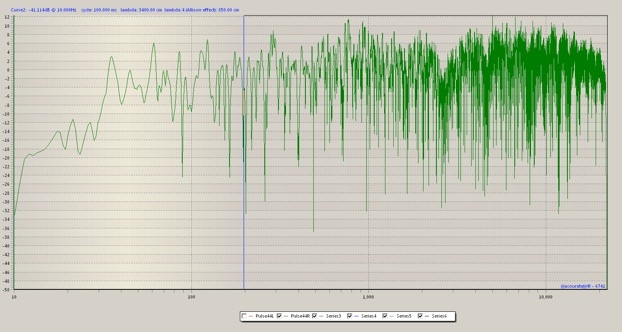 IACC: For stereo recordings finally the IACC values for durations of 10 ms, 20 ms and 80 ms will be displayed. 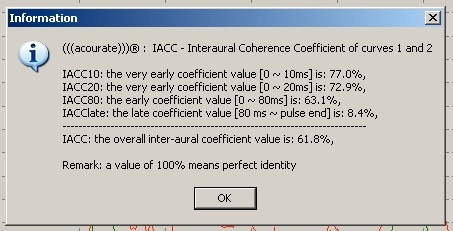 IACC is defined as interaural coherence coefficient and it is a measure for the interchannel matching. The max. theoretical result is 1.0. A high value indicates a good stereo focusing. Both the pulseL and pulseR is shown. It seems that the frequency response is quite similar in both side with a peak at about 34Hz and quickly drop down to -14dB at 20Hz. There is also a dip at 2600Hz in both sides indicating that could be a crossing over or driver alignment issue. If you look at the graph on previous page, this is the exact crossover point. The step response in both side is really not bad at all. But I think I can still improve on this. Not bad for a setup without driver alignment and correction. I remember Uli once mentioned that the best he has seen is 80%, so 61.8% is not too bad! In these maps, you can see that there is a single peak for each frequency indicating that there is no strong reflections from the walls. The bass region also has a nice slow run off with no pressure building in the room. 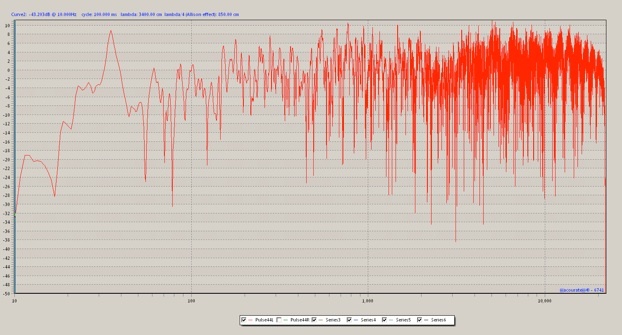 You can see that there are many peak for the frequency above 100Hz, indicating there are are reflections. The bass is also built up with no signs of decay. Good or not, is subject to the listerner.